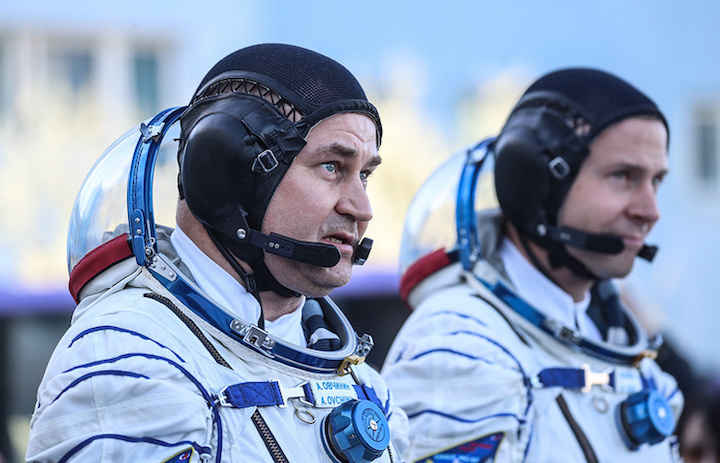 Two crew members of Soyuz MS-10 spacecraft, who landed in Kazakhstan last week after the booster’s failure, are ready to continue trainings for new space flights, Russian cosmonaut Alexei Ovchinin told reporters on Wednesday. "The crew members feel good after the landing and are ready to continue trainings. We are ready for new space flights," Ovchinin said. Earlier, Head of Russia’s Roscosmos state space corporation Dmitry Rogozin said Ovchinin and NASA astronaut Hague could fly into space in spring 2019. A Soyuz-FG carrier rocket with a manned Soyuz MS-10 spacecraft blasted off from Kazakhstan’s Baikonur Cosmodrome to the International Space Station (ISS) in the morning of October 11. On board the spacecraft were veteran Russian cosmonaut Alexei Ovchinin and US astronaut Nick Hague, who was making his first space mission. The press office of Russia’s Central Military District reported that rescuers recovered the crew from the descent capsule. Later, the crew members were examined and found to be in good condition. After their medical check-up in the town of Baikonur, the astronauts were transported to Moscow on October 12.